The tumor-treating fields device. 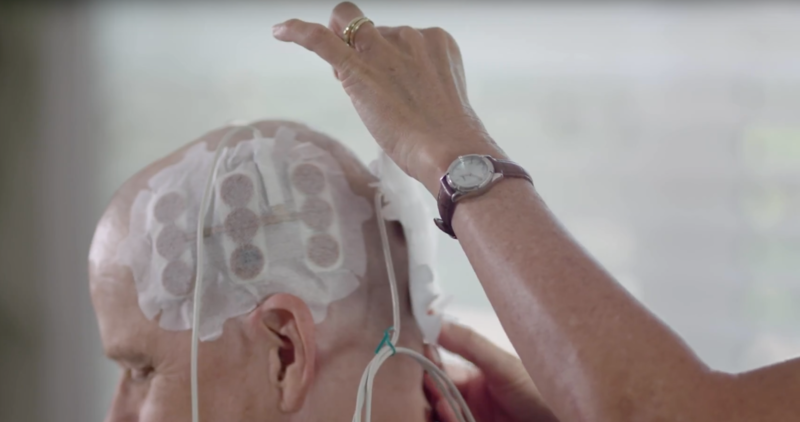 Photo courtesy of Novocure, Inc.
Roger Stupp, MD, chief of Neuro-oncology in the Department of Neurology, was the lead author of the study that found a device adhered to a patient’s skull, delivering electric fields, prolongs survival in a deadly brain cancer. A device attached to a patient’s scalp that delivers a continuous dose of low-intensity electric fields improves survival and slows the growth of a deadly brain tumor, according to a new clinical trial led by a Northwestern Medicine scientist, published in the journal JAMA. “This trial establishes a new treatment paradigm that substantially improves the outcome in patients with glioblastoma, and which may have applications in many other forms of cancer,” said lead study author Roger Stupp, MD, chief of Neuro-oncology in the Department of Neurology. Previous studies demonstrated that TTFields inhibit tumor growth and selectively affect dividing cells, ultimately leading to cancer cell death and tumor growth inhibition. 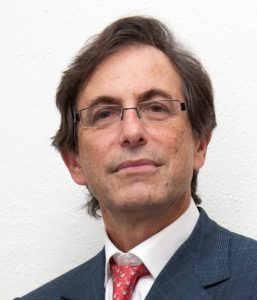 Stupp is also a professor of Neurological Surgery, and of Medicine in the Division of Hematology and Oncology, a neuro-oncologist at Northwestern Memorial Hospital and co-director of the Lou and Jean Malnati Brain Tumor Institute at Northwestern Medicine. The Lou and Jean Malnati Brain Tumor Institute at Northwestern Medicine helps advance medical education, collaborates on research initiatives and creates innovative clinical models of care for patients with brain and spinal cord tumors. It is a nationally recognized leader in the fight against brain and spinal cord tumors, offering patients advanced clinical trials and treatment options. Kevin McCullough is the director of content development for the Office of Communications. He holds a bachelor’s degree in psychology from the University of Washington, a master’s degree in journalism from the University of Maryland, and a master's degree in writing and publishing from DePaul University.